Are you thinking of throwing some bucks into your casino account to play real-money games? Don't miss our 2018 guide to all the most popular deposit and withdrawal options in the gambling industry! Before you start playing at an online casino, there’s one very important thing you’ll need to do: make a deposit. In order to go ahead and place some real money bets, you need to top up your casino account first. The money you decide to deposit might then be boosted by massive bonuses, leading to even more money to spend on your favourite casino games! But how can you deposit? 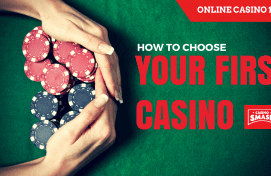 The best online casinos offer a wide variety of different payment methods with which people can deposit and withdraw, meaning that everyone will be able to find a method that suits them. But what exactly are the most commonly seen banking methods? Keep reading to find out! VISA is the most common method used by online gamblers to fund their accounts and is available at 99% of online casinos. The biggest advantage to using this depositing method is the huge safety and security that comes with it. However, you will have to remember that any transactions will be shown on your bank statement. VISA is not only popular for depositing, but also for making withdrawals. In fact, if you deposit using a VISA, you will almost certainly be forced to use the same method for any withdrawals from your casino account. MasterCard is nearly as popular as VISA, and it is used by huge numbers of online gamblers across the world. All the best online casinos will accept MasterCard as a form of payment, and most will not charge any fees for using it. Withdrawing is a bit trickier, though, as many online casinos don’t allow withdrawals to be made using this method. If this is the case, you will then have to select a different withdrawal option, which may lead to delays while the site verifies your information. The reason why choosing a different payment method to withdraw than to deposit can be difficult is that online casinos are very wary of money laundering issues. In the case that they accidentally allow laundering to occur they face huge fines and legal repercussions. American Express is an incredibly safe way for people to deposit at online casinos, however many sites don’t allow it to be used. This is because Amex is known for charging large fees to merchants to accept their payments, and this, of course, eats into the casino’s operating profits. If you choose to play at a casino that accepts Amex, it is a good idea to check the fees that they charge, as they might be quite high. It’s also important to point out that use of this payment method has declined since online gambling was made illegal in the USA. Neteller and online gambling go hand in hand, and many online gambling sites having a fantastic relationship with this e-wallet. In fact, the relationship is so good that many sites offer exclusive bonuses to those depositing using Neteller, which is always something that will encourage online players to use it. Neteller is a great choice for those not wanting to share their bank details with a casino as it acts as an intermediary payment method without charging particularly large fees. The fact that it’s been around since 1999 also demonstrates that it is a trustworthy option. Skrill (formerly known as MoneyBookers) is one of the largest e-wallet services in the world and is accepted at nearly every online casino. It doesn’t, however, allow US players to make casino payments, but nearly everyone else can use it to instantly send cash to their online casino of choice. 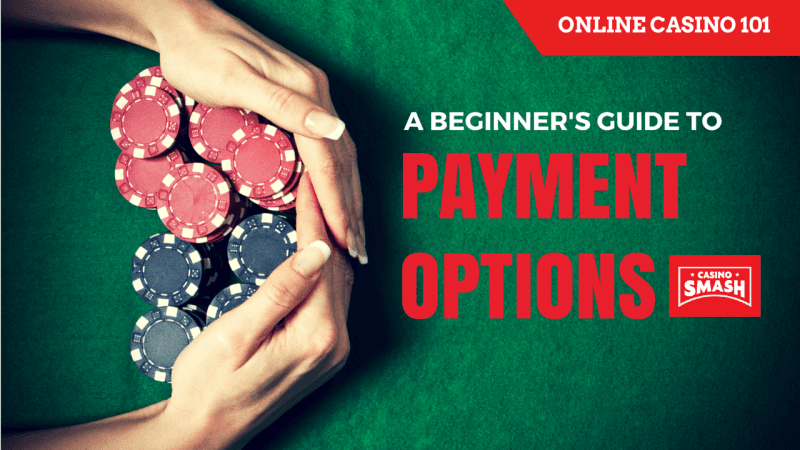 Of all the payment methods, apart from Neteller, it is also the one that incurs charges least often, leaving players with more money to spend on their favourite games. Finally, the newly launched Skrill 1-Tap service allows players to deposit at a site with a single click, making depositing easier than ever. Paysafecard is perfect for those who do not want to share any bank details online, as it allows players to deposit at a casino using cash. Simply pop to a shop selling Paysafecard vouchers, get the voucher, and then enter the code into your Paysafecard account. The money is then free to spend in any way you like! Moreover, Paysafecard is accepted widely at online casinos and is now the only common payment method of its kind. This is because Paysafecard recently bought its biggest competitor, Ukash. It should also be mentioned that Paysafecard fees are extremely low, and in many instances it is completely free. PayPal is the largest online payment method in the world, a giant that carries out huge amounts of transactions every hour. But it isn’t quite as popular at online casino sites, which is probably due to the fees PayPal charges individual merchants. If you decide to play at one of the online casinos that accept PayPal though, you can be sure that transactions will be almost instant, and that the entire banking experience is incredibly safe. When making large withdrawals using PayPal fees can be high and PayPal sometimes holds large payments in a pending account for up to three weeks! Entropay is commonly accepted at online casinos. However, it is not one of the most widely used payment methods. Entropay is essentially a virtual VISA card, which is funded directly from your bank account. The money is then transferred instantly to an online casino upon your instruction. Those using Entropay can also apply to get an Entropay card, which can then be used to withdraw money at ATMs and it has the added advantage of never allowing your account to be overdrawn. EcoPayz is essentially the same as Entropay; it is an e-wallet that allows customers to also make withdrawals using a prepaid card. When used at an online casino, it offers instantaneous deposits that come with very low fees. What’s more is that withdrawals can also be made using this digital banking method. EcoPayz can also support multiple currencies, and at the last count operated in 45 currencies from around the world. The only disadvantage of EcoPayz is that it isn’t as widely accepted as Entropay at online casinos, although a large number do still support it. Instadebit is another e-wallet service, and online casinos love it when players use this method of depositing. The reason for this is simple: Instadebit charges them very low fees for processing transactions. These low fees can then be passed onto players, making Instadebit one of the most affordable ways to put funds into your online casino account. The other big benefit to using Instadebit, as well as any other e-wallet, is the fact that all personal details will never have to be shared with the casino. It’s certainly an option to consider if you’re looking to open an e-wallet anytime soon! This one is for the Antipodeans reading this article, as POLi is the biggest online payment service in both New Zealand and Australia. This focus on these two countries does mean that POLi isn’t available to those living elsewhere, though. Perhaps the best thing about this payment method is the fact that users don’t even need to sign up for an account with them to deposit money into a casino. Instead, POLi acts as a middleman in the transaction. There’s also the fact that POLi charges absolutely no fees to its users, which is always an incredibly good thing to hear. Click2Pay is yet another popular e-wallet service that is found at the majority of online casinos. It isn’t used as much as some other e-wallets only because of the fact that its competitors have been better at advertising their services. If you decide to give Click2Pay a go, you’ll find that transactions are instant and that the more you use it, the more money you’ll be allowed to transfer in one transaction. This latter point is because Click2Pay uses a rating system, with more trusted users getting higher limits. Be aware that some online casinos charge for depositing with this method. Bitcoin is accepted at very few of the larger casinos. However, there are loads of dedicated Bitcoin sites out there, some of which are reputable and offer incredible bonuses for new players. Bitcoin is an entirely online currency and you’ll need to set up a Bitcoin wallet if you want to use it. Once you set up one for yourself, you’ll find that spending your Bitcoins is really easy. What’s more, the value of Bitcoins can rise significantly, so you might even be able to sell them for more than you initially paid! Cheques are generally offered by casinos that don’t allow withdrawals to be made to the initial depositing method, and the vast majority of players will attempt to avoid them completely. This is because they can take ages to be issued, and they then take a ridiculous amount of time to clear in a bank account. If they are the only option open to you, you can at least be sure that they are safe and reliable, and that you’ll get your money at some point. Regardless of the payment method you choose to use, you’ll find many online casinos accepting it. If you want to find out all about the best online casinos, why not take a look through the many casino reviews here at CasinoSmash? Brexit: What Changes For Online Gambling In The U.K.?